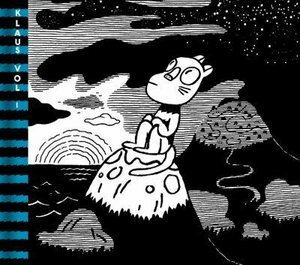 "One part "Peanuts," one part Jim Woodring's "Frank," "Klaus" transplants the myogenic spirit of the classic strip comic into a new, slightly stranger yet similarly robust body. Like a Hunt 102-weilding Victor Frankenstein, Short isn't afraid to experiment, and readers may soon find themselves absorbed in the witty, contemplative, and warped world of cat-people, humanoid rodents, and metaphysical ruminations." --Martin SteentonVisually informed by Richard Short's love of classic comic strips, Charles Schulz' "Peanuts," and Tove Jansson's "Moomins," "Klaus" explores the un-adventures of the eponymous character, a pensive anthropomorphic cat; the inappropriately specie-d romantic interests of a vexatious supporting cast of anthropomorphic rats; and Klaus' libertarian doppelganger Otto. This sixty-page collection includes the best of Short's short self-published comics together with all-new never seen before material.Richard Short, originally a wills lawyer based in the northeast of England, recently made the unlikely but successful transition to cartoonist and illustrator. He lives in London, United Kingdom.